IT managers seek desk top communication solutions that meet the various communication needs of end users, yet are easy to deploy, manage and support. Polycom SoundPoint IP solutions are business-grade telephones that interoperate with your hosted or premises-based unified communication solutions. You save money by using your existing equipment today while leaving your options open for the future. The Polycom SoundPoint IP 670 is a premium SIP desktop phone with color display! The Polycom SoundPoint IP 670 is a six-line SIP desktop phone with color display that brings lifelike richness and voice quality to phone calls. Your teams need reliable communication devices. They prefer deskphones that come with multiple lines but without complicated features. Polycom SoundPoint IP 650 is a premium SIP desktop phone with crystal-clear HD voice! The Polycom SoundPoint IP 650 is a SIP desktop phone with crystal-clear voice quality and advanced features that support business work-flows. Your teams need reliable communication devices. They prefer desk phones that come with multiple lines, but without complicated features. The Polycom SoundPoint IP 560 is a four-line, SIP desktop phone! The Polycom SoundPoint IP 560 desktop phone, with GigE and Polycom HD Voice capabilities, is designed to make voice communications effective and productive. Communication may be the greatest tool in any business.To facilitate clear verbal communications, you need desktop phones with crystal-clear voice transmission. 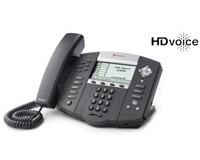 The Polycom SoundPoint IP 550 is a four-line SIP desktop phone! 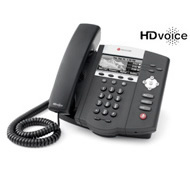 The Polycom SoundPoint IP 550 is a four-line SIP desktop phone with crystal-clear voice quality. It also offers a comprehensive range of advanced features and applications that support business workflows Your teams need reliable communication devices. They prefer deskphones that come with multiple lines, but without complicated features. 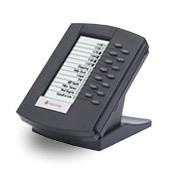 The Polycom SoundPoint IP 450 is a three-line SIP desktop phone. The Polycom SoundPoint IP 450 is a three-line SIP desktop phone with crystal-clear voice quality. It also offers a comprehensive range of features and applications that support business workflows. Your teams need reliable communication devices. They prefer deskphones that come with multiple lines, but without complicated features. 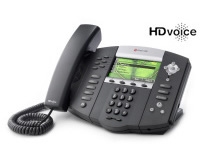 The Polycom SoundPoint IP 335 is a simple, reliable, enterprise-grade IP deskphone! The Polycom SoundPoint IP 335 is a simple, reliable IP deskphone that offers Polycom HD Voice quality and enterprise-grade features. The last thing your business needs is another set of technologies that will distract your teams from the business at hand. The most commonly requested phone features are the simple ones – often, all your teams need is a simple, reliable deskphone without the distraction created by advanced features. 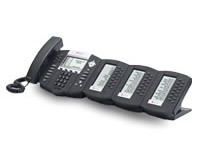 The Polycom SoundPoint IP 331 phones is a simple, reliable, enterprise-grade IP phone. 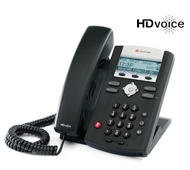 Excellent sound quality and enterprise-grade features in a simple, reliable IP deskphone. The last thing your business needs is another set of technologies to distract your teams from the business at hand. The most commonly requested phone features are the simple ones – often, all your teams need is a simple, reliable deskphone without the distractions created by advanced features. 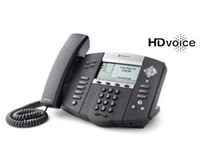 The Polycom SoundPoint IP 321 phones is a simple, reliable, enterprise-grade IP phone. The SoundPoint IP Color Expansion Module grows the call handling capacity of telephone attendants. Turn Your Polycom SoundPoint IP 670 desktop phone into a high-performance color attendant console. In the eyes of your customers, how people answer calls placed to your business reflects on your entire operation. As your business grows, you need an attendant console you can expand to meet the growing volume of calls to your facility. The SoundPoint IP Backlit Expansion Module optimizes the call handling capacity of telephone attendants. Turn your Polycom SoundPoint IP 650 desktop phone into a high-performance attendant console. In the eyes of your customers, how those in your organization answer calls reflects on your entire operation. As your business grows, you need an attendant console you can also expand to meet the growing volume of calls to your facility. The SoundPoint IP Color Attendant Console is an ideal solution for today’s busy attendants. 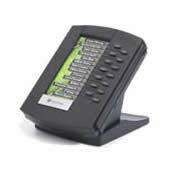 Extend Your Polycom SoundPoint IP 670 desktop phone into a high-performance color attendant console. In the eyes of your customers, how people answer calls placed to your facility reflects on your entire business. Effective call coverage is critical, not only for the administrative assistants in your organization but also for others who must monitor, manage, and cover the status of calls. The SoundPoint IP Attendant Console is an optimal solution for attendants to efficiently handle calls. Turn Your Polycom SoundPoint IP 670 desktop phone into a high-performance attendant console. In the eyes of your customers, how an attendant answers calls placed to your facility reflects on your entire business. Effective call coverage is critical, not only for the administrative assistants in your organization but also for others who must monitor, manage, and cover the status of calls. 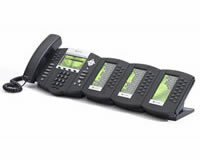 These interactive guides can help you learn the basic functions of your SoundPoint IP phone. Use these interactive guides to learn basic functions, manage calls and customize your phone.